Food critics and bloggers are constantly rating what is in and what is out. (In case you are wondering, sour is in, bitter is out.) The social sector is having the same discussion – trends show that innovation is out and impact is in. While this dichotomy brings attention to an important conversation facing the sector, it does little to explain the rationale behind the trend – or the balance that is needed to really make a difference. In my seminars, I often say, “We don’t live in an either/or world anymore. We live in a both/and world.” Genius isn’t about adopting innovation or impact, but instead understanding (and getting comfortable with) the tension between the two and learning to navigate it successfully. Innovation is vital to the social sector, but its meaning and value are often misunderstood. We define innovation as “something different that has the potential for impact.” But, innovation isn’t always related to something brand new (in fact, innovation is frequently mistaken for invention). Sometimes, the smartest and most impactful way to be innovative is not to invent something new, but to reapply an idea in a new AND improved way. For example, selling produce at grocery stores is certainly not innovative, but selling misshapen produce (known as “ugly” food) in an effort to reduce food waste is. When it comes to actually practicing innovation, we prefer a higher level called “Lean Startup,” which is borrowed from the commercial world’s continuous cycle of create-learn-repeat. Impact is also crucial for the social sector. 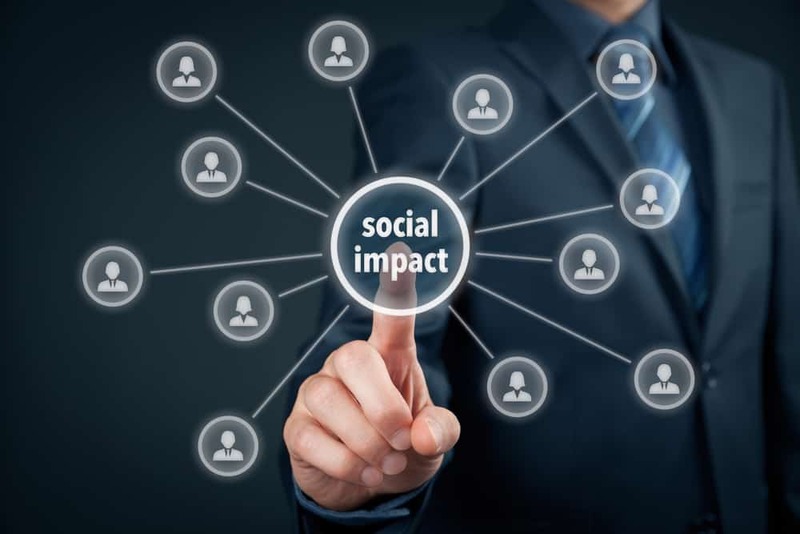 We have said before that “impact is the new bottom line for the social sector.” Research and greater focus on impact measurement has helped to define impact for the sector. These well-established best practices that lead to impact have created a paradigm shift for the sector and are helping advance our progress exponentially. Another benefit of impact is that it leads to additional sources of capital, such as impact investing and social impact bonds. For community-based organizations, balancing the tension between innovation and impact means knowing the difference between the two and focusing on impact when enough research is available to guide the implementation of best practices. Organizations should focus on programs where best practices are well-established and customize them for the community to maximize impact, but they should also implement programs for which best practices are virtually non-existent or unclear and where impact measurement is key to figuring out what could work. Think of it like baking a cake. When you use a great recipe, you know that your cake will turn out well. The same is true of research-based programs yielding impact. But, when you don’t have a recipe, you have to experiment and measure your results to determine what works best and keep improving the recipe. When you’re operating without a recipe in the social sector, it pays to follow lean startup carefully to adapt your program as new information and research emerge to increase your chances for impact. For funders, balancing the tension between innovation and impact means developing a funding portfolio with at least 60-75% of funding going to impact-driven solutions (similar to private equity) and 25-40% going to innovation-driven works similar to an R&D fund (similar to venture capital). Think of it like sugar in your diet. Innovation, like sugar, enhances your culinary experience. But, like sugar, it’s easy to go overboard with innovation. When you overdo it, too much focus on innovation leads to unhealthy and unwanted outcomes, such as ineffective programs and unnecessary funding competition that relies on innovation for innovation’s sake. As a community of funders, it is imperative to have meaningful and regular dialogue among funders to create a proper balance between innovation funding and impact/scale funding. For accelerators, such as Social Venture Partners or Innovation Labs, balancing the tension between innovation and impact means being clear about which type of solution is your sweet spot. Are you better with innovative startups or with growth strategies for impactful programs? Think of it like the difference between cooks and bakers. It is difficult to be good at both because each requires a different skillset. The same is true for accelerators and other social venture groups. We recommend accelerators focus on the area in which they have the greatest strengths. So, is impact in and innovation out? No, that is a false choice. I am reminded of the Edison quote: “Genius is one percent inspiration, and 99 percent perspiration.” If Edison were still alive, I think he’d agree that the recipe for social genius is 20 percent innovation and 80 percent impact in a given community. We’d love to hear your thoughts about innovation and impact and how you see each playing a role in your organization. I really like your article. The timing is on target, but so is its application to both profit and non-profit organizations. It made me think of one I had read several years ago by Bruce Turkel. (https://bruceturkel.com/blog/difference-cooking-baking/). He likened the difference to the mix of talents and skills in an office. Immediate thoughts of how different the types of boards and executive staff are for organizations more focused on innovation than impact – – and how these are less easily changed than other positions. Thanks for the topic.